I absolutely LOVE, LOVE, LOVE Unusual Chickens for the Exceptional Poultry Farmer by Kelly Jones with perfect illustrations by Katie Kath! First, it is an epistolary novel, one of my favorite kinds of books. Next, in Sophie Brown, Jones has created an ethnic character who speaks matter-of-factly about being discriminated against because of the color of her skin. I am always thrilled to find culturally diverse characters in books and I especially appreciate it when an author can write about race in a way that is present, sensitive and comprehensible for young readers. Finally, with her unusual chickens, Jones has created a truly fantastic cast of characters that gives Unusual Chickens for the Exceptional Poultry Farmer a quintessential touch of magic (along with a ghost or two) that makes it truly memorable, as you can see in the image below. Unusual Chickens for the Exceptional Poultry Farmer begins with Sophie's letter to Redwood Farm Supply in Gravenstein, CA, requesting a catalog with more information about their unusual chickens. Sophie, her mother and father, have moved from Los Angeles to this rural town north of San Francisco after her father inherits his Uncle Jim's farm. Sophie's dad is unemployed, her mother is a freelance writer, money is tight and is seems that Uncle Jim was a hoarder. However, Sophie has all summer to sort through his piles and piles of stuff. Dad is white, but brown-skinned Sophie and her mother are occasionally taken for migrant workers in this small farming town. All these details, and more, unfold as Sophie, lonely and a little sad at the loss of her beloved abuela, Mariposa Garcia González, writes letters to her, Great-Uncle Jim and Redwood Farm, all delivered by Gregory, the friendly, knowing mailman. While Abuelita and Great-Uncle Jim don't write back, after Sophie discovers a small, angry white chicken she names Henrietta, she does get a few mysterious, typo-ridden missives from Agnes of Redwood Farm. 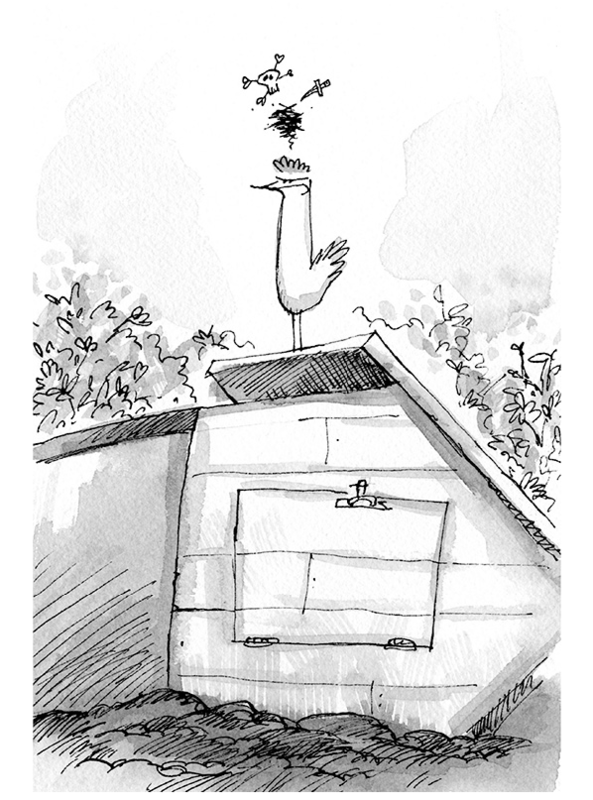 Kath's illustrations for Unusual Chickens for the Exceptional Poultry Farmer are absolutely perfect - playfully humorous and and detailed when needed, like for the Beginning Poultry Course that Agnes instructs Sophie to find in the file cabinet in the crowded barn. This portion of the novel actually includes real lessons on how to care for chickens and is quite interesting. 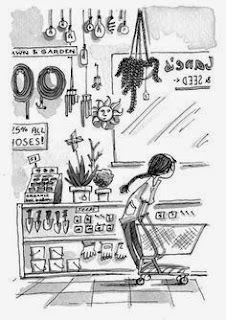 However, Sophie quickly learns that Great-Uncle Jim's chickens from Redwood Farm are unusual in more than just appearance when she spots Henrietta, who lays glass eggs and has a way with latches and locks, levitates her empty water jar. As more curious chickens arrive and a neighbor begins snooping around, Sophie comes to understand why Agnes instructed her not to tell anyone about the unusual chicken. 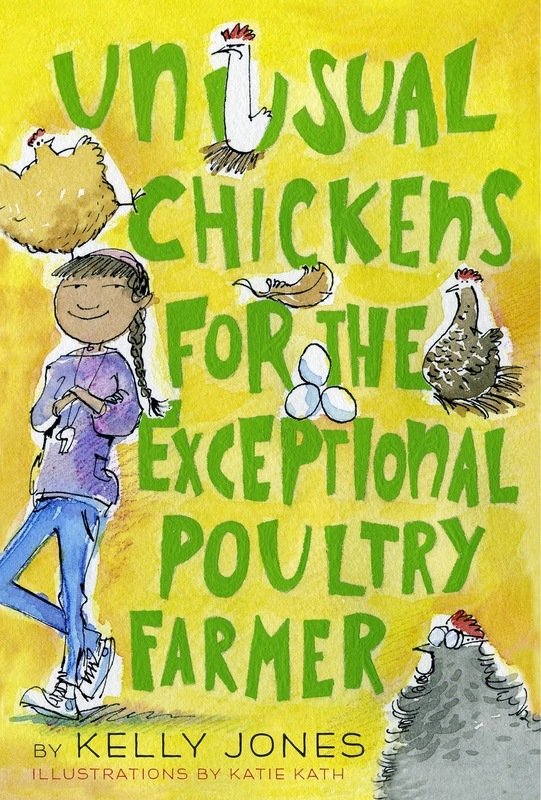 Although told all in letters, Jones creates a complete world and a rich story for Sophie and her chickens. There is a friendly librarian, a friendly feed store employee and a neighbor with chickens of his own. 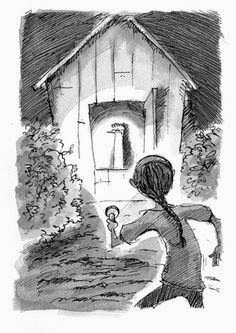 After realizing the magical qualities of her unusual chickens, Sophie discovers that Ms. Griegson, the neighbor who has been trying to poach them, has an unusual chicken of her own - one that can turn into from a Rhode Island Red to a red-tailed hawk at will. Worried for the well being and safety of her unusual chickens, Sophie goes to some desperate lengths, although the tension and danger never gets too intense and the presence of caring adults, ghosts or otherwise, is felt throughout the story. Jones, who worked as a children's librarian and bookseller and has her own flock of chickens, does a wonderful job of including real books that feature chickens - like Pinkwater's The Hoboken Chicken Emergency and Prairie Evers by Ellen Airgood, along with facts about chickens and a great recipe for migas, a Mexcian breakfast dish with tortillas, eggs, salsa and more that is THE BEST! I can't wait to see what Kelly Jones cooks (or clucks?) up next!